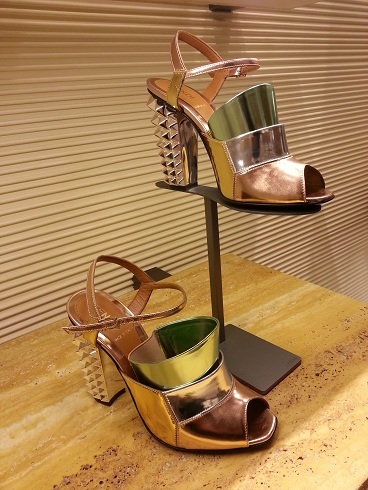 At last, Fendi's fashion show heels just arrived at the brands boutique in The Avenues Mall..
Spring 2013 latest collection is to die for, the mix of exotic leather, the hand stitching plus the lego like heel which comes tri coloured.. 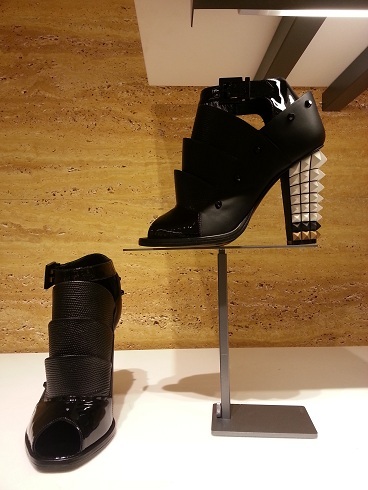 It's doesn't look bulky at all, as much as it feels like 3 shoes in one its very light weight.. I prefer shoes that comes with platform as it gives me more support and more height as well but for this I'm welling to forget about the platform.. The Armadillo comes in mettalic colours, black or white..
Kitten heels version, not a big fan but I'd take them over the typical Fendi logo ones.